A weightless concentration of Sunflower Seed Extract, Wheat Protein and Rice Protein along with our proprietary Tri-Organic Complex. 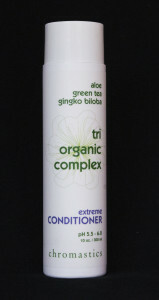 Designed for natural healthy to moderately stressed hair. Dispense the desired amount into your palm, rub your palms together and apply to shampooed hair. Allow 1 to 2 minutes for the product to work and then rinse. Dispense the desired amount into your palm, rub your palms together and apply to your shampooed hair. Allow 2 to 3 minutes for the product to work and then rinse. A leave-in combination of Macadamia Glyceride, wheat protein, rice protein and sunflower seed extract. 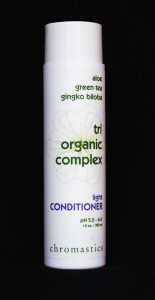 Designed to help repair damaged hair, provide shine and protect against sun fading. 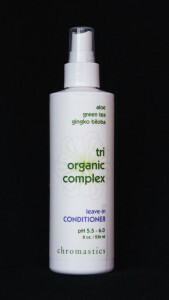 Can be used as a detangler and helps protect hair from the heat of styling tools. Hold 6 to 8 inches from your hair and spray over the entire surface. Allow hair to dry naturally or use a dryer.